A container is a text field for grouping assets in the detail view – great for things like cases or boxes. 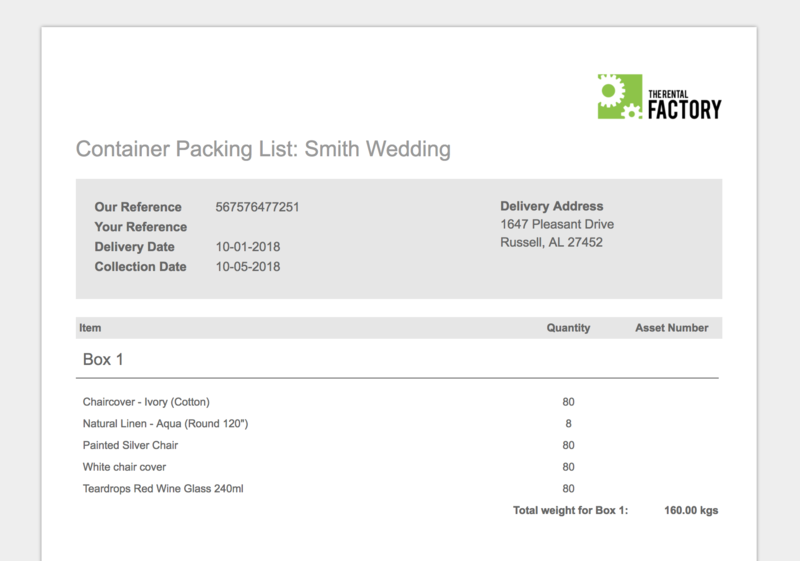 Print out a Container Packing Sheet, which lists all items grouped by container along with container weight. 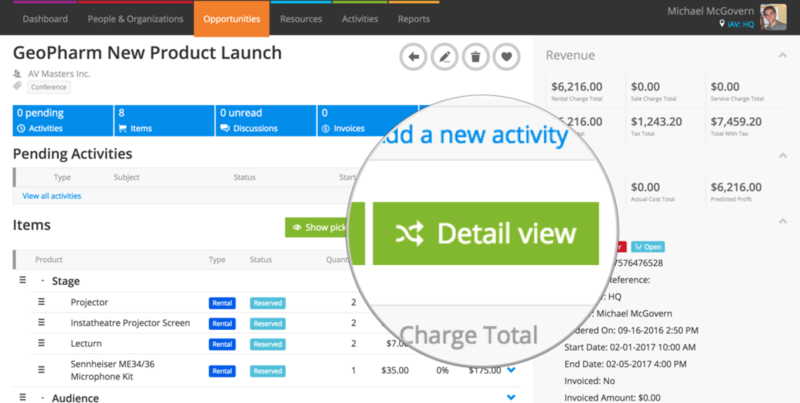 To set containers, head to the detail view by clicking the Detail view button from an opportunity page. The container is listed in the “Container” column in the detail view. Click the “Container” column to sort the detail view by container. Current lets you know the weight of each container at the top. Take actions on a container by ticking the box next to the container and choosing an option from the Action menu. The container packing sheet lists all of your assets grouped by container, along with a total weight for each. View and download this document under the Print heading on the right-hand side. What if my containers have barcodes? You can’t specify that a container is linked to a product in Resources. However, if you’re using a barcode scanner and have a barcoded container, you could scan the barcode into the “Container” field on the relevant tab of the detail view. Your barcode scanner will simply translate the barcode to keystrokes and simulate pressing enter. Your cursor will be moved to the “Asset” field so you can start scanning assets.